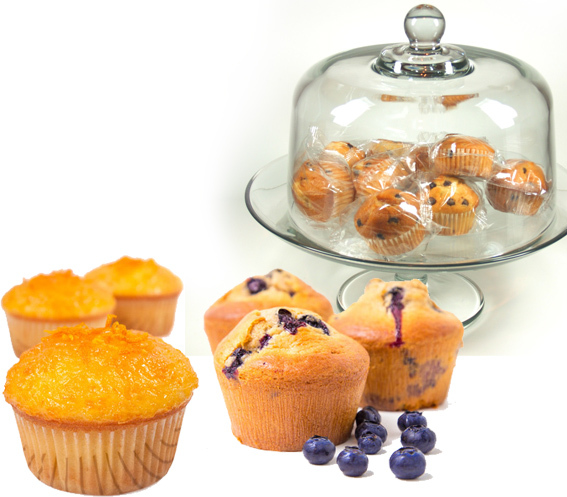 Now offering our line of wholesome individually wrapped muffins available in 2 and 4 ounce servings. These delicious treats are made with no artificial preservatives, are an excellent bread substitute and are great for breakfast or as a snack anytime. Our muffins are healthful and meet the new USDA requirements and nutrition standards for school meal items. Grandma Maud’s bakes it up with only the highest quality ingredients. In a variety of flavors, these favorites are sure to please all ages. With a frozen shelf life of six months there is plenty of time to try all of these delicious flavors. Call or email us today to add premium muffins to your food service menu’s.